Above, a selection of Alexandre Mancini’s work, as seen in the Biasi Catani showroom. Alexandre Mancini is a contemporary Brazilian artist whose innovative pieces brought the Brazilian tile art tradition back to the mainstream. 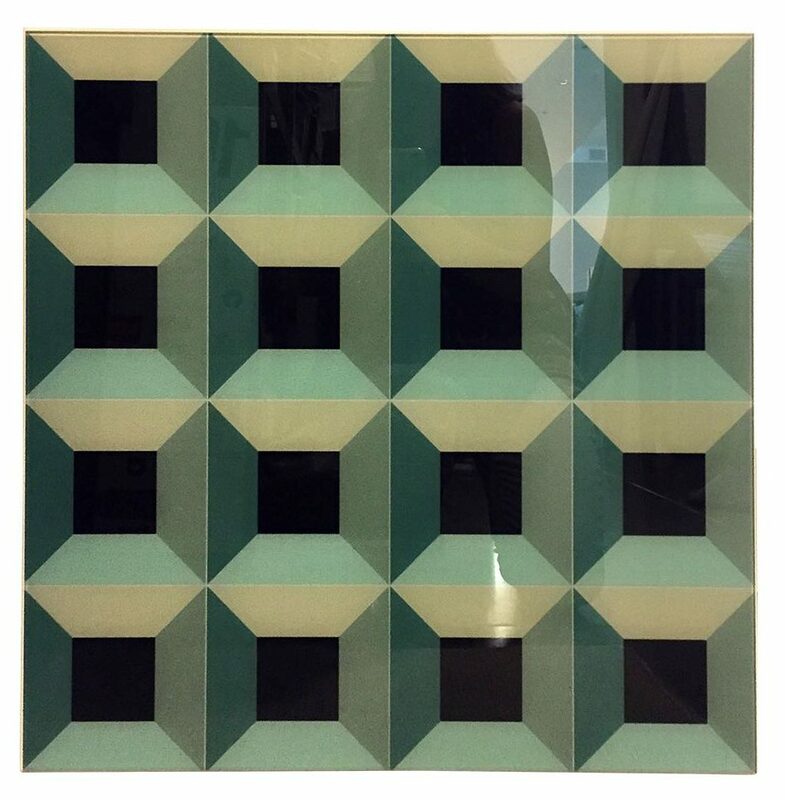 Working onÂ tiles, Mancini often brings together color and geometric forms to create a dynamic effect. And though his style is undoubtedly modern, his works pay tribute to the artists of Brazil’s past, such as Paulo Rossi Osir. 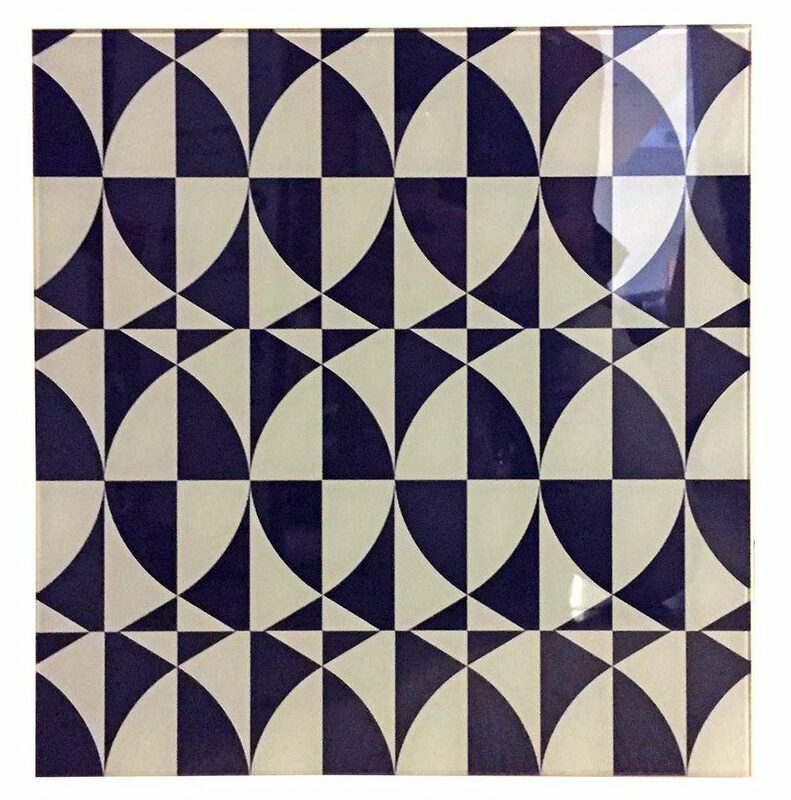 Take a closer look at a few of Mancini’s tilesÂ that are currently available at Viyet. 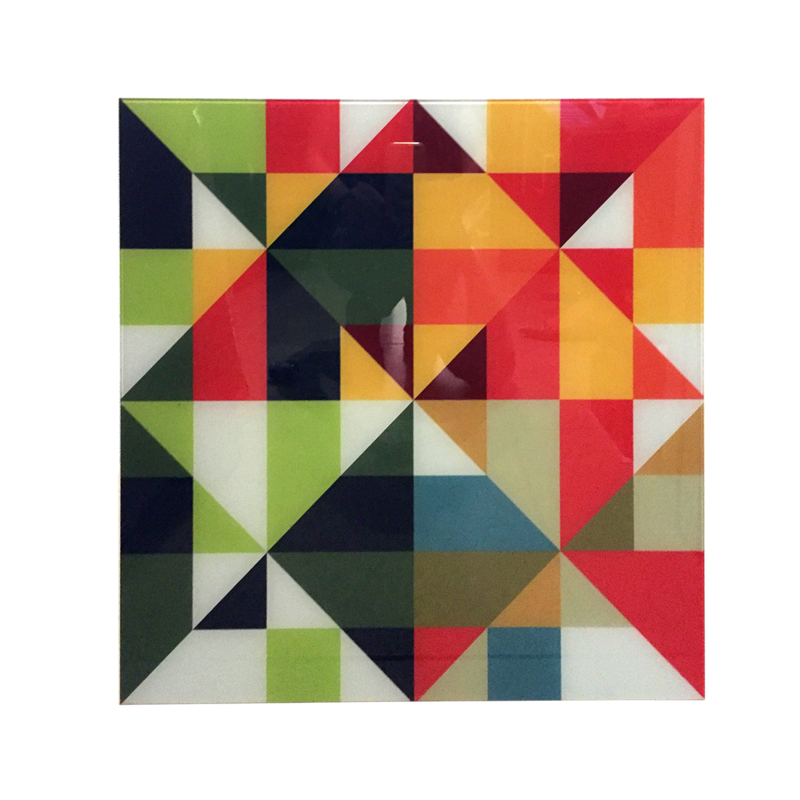 â€œRolideiâ€ is a colorful design composed of rectangles, squares, and triangles.Â Here, you can see how Mancini’s vivid colors draw the eye around the piece. â€œSao Joseâ€ is named after the city in Santa Catarina, Brazil. The geometric shapes done in black and white lend a sense of graphic drama. 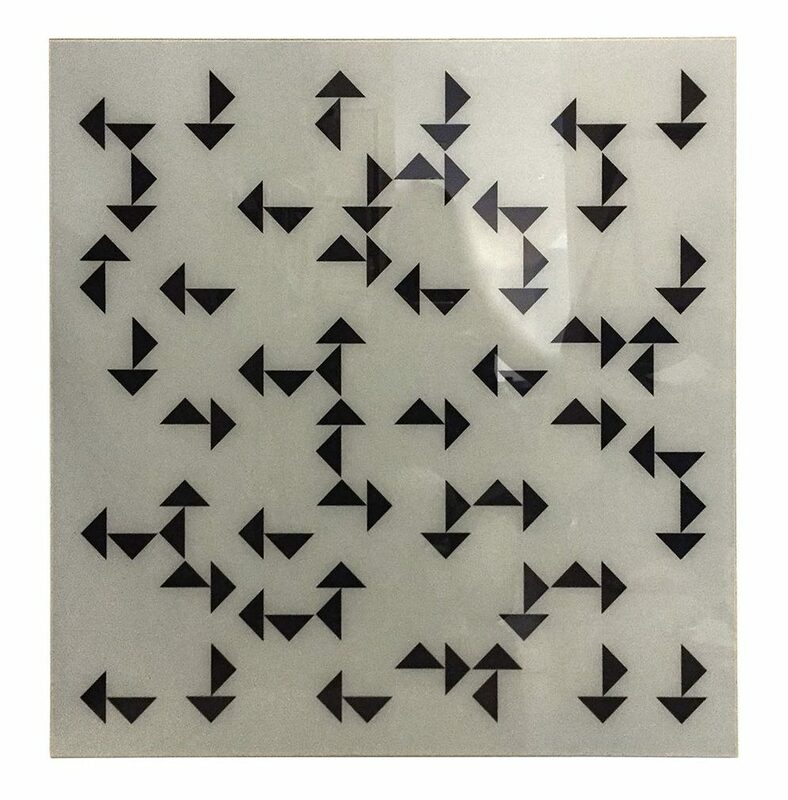 Displayed in a white or grey room or on a brightly painted wall (think lipstick red or neon yellow), it’s a piece that commands your attention. The tiles of Colonial Brazil that inspired Mancini’s work were surprisingly functional: the ceramic tiles were used on facades toÂ protect against humidity and and reflect the sun. The â€œArtificios Geometricos #27” gives the illusion of depth in this bold pattern. One can imagine this beautiful design on an exterior wall in a courtyard. Mancini’s â€œDois Trianguliosâ€ is of a more restrained design that draws you in and has an almost hypnotic quality. The smallÂ triangles guide your eye around in this stunning work. 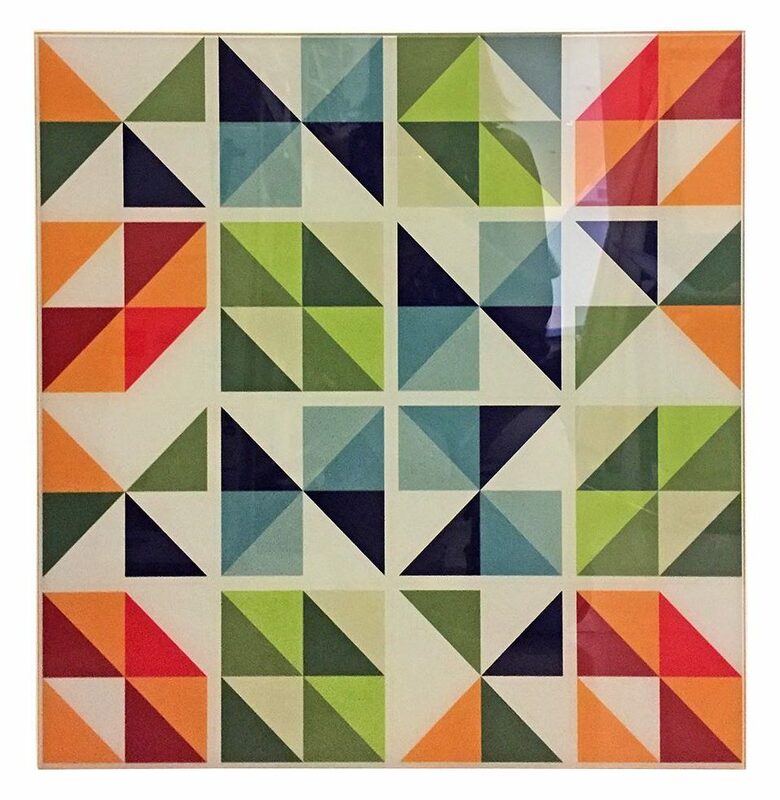 â€œPA 12617â€ is another colorful design, using a series of squares to divide the triangular pattern.Â Done in both warm and cool colors, the work has a timeless appeal.